Fifth North Korean nuclear test is alarming and cause for action to freeze its programs and reinforce global testing taboo—Statement by Executive Director Daryl G. Kimball and Director for Nonproliferation Policy Kelsey Davenport, 5am GMT, September 9, 2016. In its 1996 advisory opinion, the International Court of Justice (ICJ) found that the threat and use of nuclear weapons was generally illegal, but it could not decide whether this illegality applied “in an extreme circumstance of self-defense in which the very survival of a State would be at stake.” Three judges dissented from that ruling, arguing that nuclear weapons were illegal in all circumstances. In its 1996 opinion, the ICJ also concluded unanimously that the disarmament obligation is not limited to NPT parties. As the delegations here at the Conference on Disarmament (CD) and the Open-Ended Working Group (OEWG) on Disarmament realize, there are still no legally-binding restrictions on the nuclear buildups of world’s four non-NPT nuclear-armed states, and are currently no active bilateral or multilateral negotiations to further regulate, cap, or reduce the stockpiles of any of the world’s five original nuclear-armed states. Worse still, key treaties like the Comprehensive Test Ban Treaty (CTBT) have not yet entered into force due to political divisions in Washington and inaction by seven other Annex 2 states, leaving the door to renewed nuclear weapons testing ajar twenty years after the Conference on Disarmament completed its negotiation and the treaty was opened for signature. In addition to the tensions between key nuclear-armed states, the biggest challenge to the disarmament enterprise is the fact that all of the world’s nine nuclear-weapon states are, to varying degrees or another, devoting vast sums of money to modernize, upgrade, and in some cases expand the size and lethality of their nuclear arsenals and delivery systems. Although there is abundant evidence that even a “limited” exchange of nuclear weapons would result in a catastrophic humanitarian catastrophe—and in the view of many would violate the principles contained in the Law of War and be contrary to widespread interpretations of International Humanitarian Law—each of the nuclear-armed states continue to reaffirm the importance of such weapons for their security and maintain plans for the use of these weapons in a conflict. Undoubtedly, renewed tensions between Moscow and Washington are blocking progress on nuclear disarmament. The United States and Russia have a special responsibility to provide leadership to further reduce the role and number of nuclear weapons, but they are not doing so. Yet progress on further nuclear cuts is on hold. As President Obama recently acknowledged and the Russian [Ministry of Foreign Affairs] MFA confirmed, new negotiations on further nuclear disarmament beyond [the New Strategic Arms Reduction Treaty] New START are unlikely any time soon. Russian leaders cite concerns about limited but unconstrained U.S. ballistic missile interceptors, NATO conventional military capabilities, and third-country nuclear arsenals, as reason for rejecting the June 2013 U.S. proposal for a further one-third reduction in each side’s strategic nuclear forces. But Russia has failed to put forward a counterproposal and has rejected U.S. offers to discuss the full range of strategic issues. Complicating matters, Russia also has tested ground-based cruise missiles in violation of the 1987 Intermediate-Range Nuclear Forces (INF) Treaty. U.S. and Russian officials say they are interested in discussing the issue, but the matter remains unresolved. So long as it does, the prospects for negotiation of a follow-on agreement to New START are low. Making matters even worse, Russian officials have begun to highlight their nuclear forces as a deterrent against what they see as increasingly threatening U.S. and NATO conventional military capabilities. Late last year, Russia “leaked” plans for a new nuclear-armed underwater torpedo, implying it is eyeing new types of nuclear weapons. Now, in a troubling shift of rhetoric, the Defense Department has unwisely begun to frame its unaffordable, all-of-the-above plan for replacing and upgrading U.S. strategic bombers, nuclear-armed cruise missiles, and land- and sea-based strategic nuclear forces as part of its strategy to “counter Russia’s aggressive policies in Eastern Europe,” according its fiscal year 2017 budget request. In reality, U.S. nuclear weapons, including the remaining forward-deployed tactical nuclear weapons are irrelevant to the protection of nervous NATO allies in the Baltics and elsewhere. Obama and his successor, along with Russian President Vladimir Putin, have a responsibility to pull back from a nuclear action-reaction cycle that would put both countries at greater risk and block further nuclear reductions for many more years to come. Meanwhile, as the U.S. and Russian tensions and arsenals attract most international attention, China, India, and Pakistan are all pursuing new ballistic missile, cruise missile, and sea-based nuclear delivery systems3 themselves and increasing the size of their warhead stockpiles or their capacity to produce material to make more weapons. Although smaller in number, these arsenals are just as dangerous. Pakistan has lowered the threshold for nuclear weapons use in a potential conflict with India by developing tactical nuclear weapons capabilities to counter perceived Indian conventional military threats. Pakistan’s stated concern about India’s larger fissile stocks has led it to block negotiations on a fissile material cut-off treaty, even though the United States has recently opened the possibility of changing the mandate to address fissile stocks4. For its part, India says it would support fissile cut-off talks, but it appears to be expanding its fissile material production capacity as the CD remains deadlocked. Leaders in Beijing, New Delhi, and Islamabad profess support for nondiscriminatory approaches to disarmament and minimal deterrence, but their programs are moving in the opposite direction and there is little or no dialogue among them, and with others, on nuclear risk reduction options. Chinese officials suggest they will not consider limits on their nuclear arsenal unless there are additional, deeper U.S. and Russian nuclear weapons cuts. Although North Korea may be under tighter and tighter international sanctions, its nuclear weapons and ballistic programs remain unconstrained. With further nuclear and ballistic missile tests, it will likely have missile-deliverable nuclear warheads. Israel’s nuclear opacity and the inability of the Arab League to find a way to agree on an agenda acceptable to Israel for a meeting Middle East Nuclear WMD Free Zone Treaty has frozen discussion of practical measures to reduce nuclear and missile dangers in that region. Another challenge is the relatively low-level of public and policy-maker awareness about the dangers of renewed nuclear competition and the consequences of nuclear weapons use is relatively low in the United States—and perhaps elsewhere. While there is support among Democrats in Congress for efforts to further cut U.S. and Russian arsenals, there is strong skepticism among Republicans in Congress about any further nuclear reductions, and even though the U.S. Defense Department acknowledges that it cannot afford its costly, all-of-the-above plan to replace each component of the U.S. nuclear arsenal5, for the time being there is bipartisan support for most U.S. nuclear weapons modernization programs. Obviously, these are very challenging conditions. These difficulties are reflected in the inability to achieve consensus here in Geneva at the CD and in the failure of the nuclear weapon states to meet key 2010 NPT Review Conference commitments and the inability of the states parties at the 2015 NPT Review Conference to agree on an updated action plan on disarmament. Frustrated by the slow pace of the so-called “step-by-step approach” to disarmament, many non-nuclear-weapon states have tried to catalyze progress through the humanitarian consequences initiative. The effort has helped raise awareness once again about the unique destructive power of nuclear weapons and the dubious legal and moral basis for their possession and use. But that initiative and the open-ended working group to discuss possible measures “to fill the legal gap for the prohibition and elimination of nuclear weapons" has not yet produced a unified, realistic diplomatic proposal for halting nuclear competition or starting multilateral disarmament talks. There is no substitute for serious dialogue, the political will and support to achieve results, and international and domestic pressure to achieve meaningful results. Simply repeating calls for action are not sufficient. Creative, practical ideas are needed to overcome persistent obstacles and new challenges. It does not appear to me that there is any one initiative that can overcome these broader systemic challenges that impede progress on disarmament. Rather, it will likely take the pursuit of multiple, practical, and sometimes bold, initiatives on the part of responsible leaders and groups of states. So, what options might states participating in the OEWG and the CD pursue to jumpstart progress? Allow me to briefly comment on a few that are in circulation here in Vienna and to offer a few others for your consideration. At the February OEWG discussions some states and civil society campaigners suggested it is time to launch talks on a treaty to ban nuclear weapons possession and use. Such a ban is, in my view, eventually a necessary step toward a world without nuclear weapons. But if such a negotiation is launched and concluded, it would not help the nuclear weapon states meet their nuclear disarmament obligations and would not likely do much to change opinion, policies, dangerous nuclear use doctrines, or accelerate progress on the elimination of the nuclear arsenals in the nuclear-armed states. This is due in large part to the fact that the nuclear weapons states will simply ignore the process and the results. 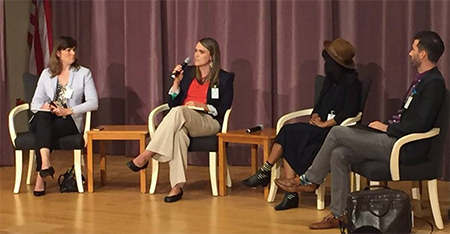 The key is to draw them in such a way that they are compelled or persuaded to shift their approach and accelerate action toward zero nuclear weapons. Another, approach—which would help address the longstanding goal of assuring non-nuclear-weapon states against the use or threat of use of nuclear weapons—would be to pursue the negotiation of a legally-binding instrument banning the use of nuclear weapons. Such an instrument would not, as some have suggested, legitimize the possession of nuclear weapons. Even if the nuclear-weapon states do not initially join in the negotiation or sign the instrument, the process itself and the final product could further delegitimize nuclear weapons, strengthen the legal norm against their use, and put pressure on nuclear-armed states to revise their nuclear doctrines. Another approach would be to press each of the nuclear-armed states to report, in detail, on the physical, environmental, and human impacts of their nuclear war plans, if these plans were to be carried out, and how they believe the use of hundreds of such weapons would be consistent with humanitarian law and the laws of war as some nuclear-armed states claim6. Such a process could force an examination of dangerous nuclear doctrines and focus public attention on the catastrophic consequences of nuclear weapons use. One important way to do so is to launch a UN study on the climate effects and related humanitarian impacts of nuclear weapons use. Tremendous advances in climate modeling and research on both the immediate effects and impacts on climate and agriculture from large-scale nuclear weapons use have been completed since the United Nations looked at the issue 25 years ago. It is time for an up-to-date UN study and report on these issues to inform current and future debate and decisions on global nuclear policy. Theoretically, the CD can be a forum for a dialogue on disarmament. The United Kingdom has put forward a useful, and wide-ranging proposal for a working group to discuss and identify effective measures on nuclear disarmament7. It would appear to be flexible enough to all states’ interests into account. If states do not burden this proposal with poison pill demands, it could help extend the conversations taking place at the OEWG and engage key nuclear-armed states. If launched, it would be vital for all states to bring forward detailed and considered proposals, not tired talking points. Another option would be to initiate a series of high-level summits approach to put the spotlight on the issue and spur new ideas. This would complement the ongoing P5 [China, France, Russia, the United Kingdom and the United States] dialogue on nuclear terms and concepts and the humanitarian impacts initiative. Leaders from a core group of states could invite their counterparts from a representative group of 20 to 30 nuclear- and non-nuclear-weapon states to join a one- or two-day summit on steps to achieve a world free of nuclear weapons. The high-level meeting could be a starting point for ongoing, regular disarmament discussions at the expert and ministerial levels on the basis of a clear understanding of the devastating impacts of nuclear weapons use and an objective assessment of the security concerns of states. Borrowing a concept from the nuclear security summit process, all participants should be encouraged to bring “house gifts”—specific actions by states that would concretely diminish the threat of nuclear weapons use, freeze or reduce the number of nuclear weapons, reduce the role of nuclear weapons, bring into force key agreements such as the Comprehensive Test Ban Treaty, or make their nuclear programs more transparent. The CTBT was concluded twenty years ago, yet entry into force is still many years away. It is essential that states that support the norm against nuclear testing support initiatives that raise the political and legal barriers for testing pending entry into force of the CTBT. Underscores the need for a continuous, real-time global nuclear test monitoring capability to detect, identify, and locate nuclear test explosions, and recognizes the vital contributions of the Comprehensive Test Ban Treaty Organization, including the International Monitoring System and International Data Centre. In light of the North Korea’s ongoing nuclear testing, the central importance of the CTBT to the NPT and nonproliferation, and the ongoing efforts by several nuclear-armed states to improve their capabilities, the time is right to take this initiative. The place to begin discussing it is the upcoming June 13 high-level meeting in Vienna on the CTBT. Further nuclear reductions need not wait for a new U.S.-Russian arms control treaty. More states need to call upon the United States and Russia to accelerate the pace of reductions under New START to reach the agreed limits before the 2018 deadline and call on both states to continue to reduce force levels below the New START ceilings, to be verified with the treaty’s monitoring regime. States can also call upon the leaders in Moscow and Washington to begin formal negotiations on a follow-on to New START, and on other relevant strategic weapons issues, no later than 2017. To sustain progress on nuclear disarmament, it is essential to reinforce and expand the INF Treaty. States at the CD and elsewhere need to speak up and call upon the United States and Russia to immediately resolve compliance concerns. The United States and other like-minded states could also propose and initiate talks with other states in talks on limiting and eventually phasing out all nuclear-armed cruise missile systems. President Obama could spur progress in this area by cancelling plans for a costly new U.S. air-launched cruise missile, which would have new military capabilities and is destabilizing former U.S. Secretary of Defense William J. Perry and others have proposed9. Such an initiative would allow the United States, Russia and other countries to forgo expensive modernization programs for such missiles, and in cooperation with other key states, head off dangerous cruise missile buildups around the globe. The world’s other nuclear-armed states must do their part too. In addition to urging the United States, China, and the other CTBT Annex 2 states to finally take the steps necessary to ratify the Comprehensive Nuclear Test Ban Treaty, Russia and the world’s other nuclear-armed states should be called upon by all NPT states parties to freeze the overall size of their stockpiles as long as the United States and Russia continue to reduce their nuclear arsenals. A unified push for further U.S.-Russian arms cuts combined with a global nuclear weapons freeze by the other nuclear-armed states would help create the conditions for multilateral, verifiable nuclear disarmament and an eventual ban on nuclear weapons. In the coming months and years, creative, bold approaches will be needed to overcome old and new obstacles to the long-running effort to eliminate the potential for nuclear catastrophe. 2. 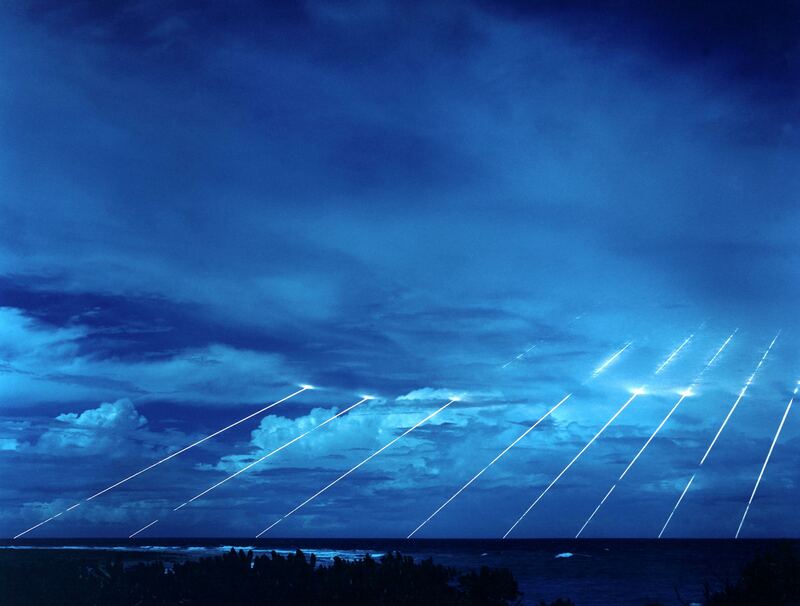 “Nuclear Weapons Modernization: A Threat to the NPT?,” Hans M. Kristensen in Arms Control Today, May 2014. 4. “U.S. Floats New Fissile Talks Formula, “ Daryl G. Kimball, Arms Control Today, March 2016. 7. Letter dated 19 February from the Permanent Representative of the United Kingdom of Great Britain and Northern Ireland to the Conference on Disarmament. 8. “Second Report of the Deep Cuts Commission: Strengthening Stability in Turbulent Times,” published by the Institute for Peace Research and Security Policy at the University of Hamburg, April 2015. 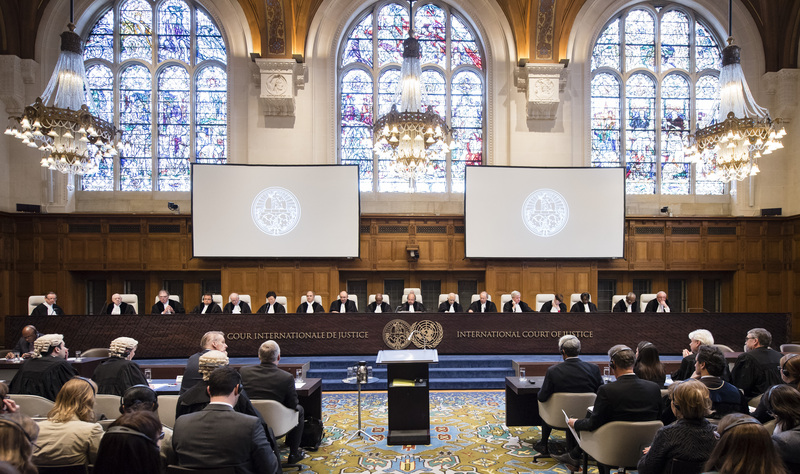 The International Court of Justice (ICJ) in The Hague began hearing arguments March 7 in a case brought against nuclear-armed India, Pakistan, and the United Kingdom by the Republic of the Marshall Islands, which contends that the UK has failed to meet disarmament obligations under Article VI of the nuclear Nonproliferation Treaty (NPT) and NPT nonsignatories India and Pakistan have breached nuclear disarmament obligations established under customary international law. The action by the island republic, which was a U.S. protectorate until 1986, represents the most significant international legal challenge on nuclear weapons since the ICJ issued an advisory opinion on the “the legality of threat of or use of nuclear weapons” in 1996. It also reflects the growing frustration of many non-nuclear-weapon states over what they see as the slow pace of nuclear disarmament. The Marshall Islands, whose land and people were severely affected by 67 U.S. atmospheric nuclear tests conducted there from 1946 to 1958, is petitioning the ICJ to declare the three states in breach of their nuclear disarmament obligations and order them to initiate negotiations on nuclear disarmament. In its 1996 advisory opinion, the ICJ judged that the threat and use of nuclear weapons was generally illegal, but added that it could not decide whether this illegality applied “in an extreme circumstance of self-defense in which the very survival of a State would be at stake.” Three judges dissented from that ruling, arguing that nuclear weapons were illegal in all circumstances. 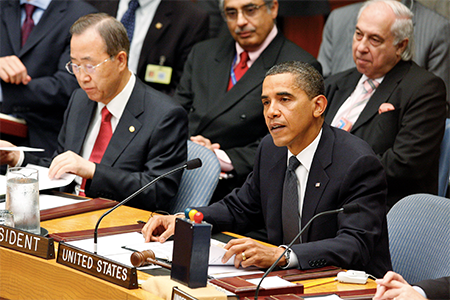 In its 1996 opinion, the ICJ also concluded unanimously that the disarmament obligation is not limited to NPT parties. In court arguments, India, Pakistan and the UK separately argued that the Marshall Islands case was without merit and that they were committed to achieving nuclear disarmament. India in particular emphasized its votes in favor of nuclear disarmament at the UN General Assembly. The Indian government “believes that given our consistent and principled position on the NPT, to which India is not a party to, NPT provisions cannot be extended to India as a legal obligation,” External Affairs Ministry spokesperson Vikas Swarup said in a March 7 statement. On the same day that the nuclear disarmament case opened at the ICJ, India conducted a test of its new, nuclear-capable K-4 submarine-launched ballistic missile. In April 2014, the Marshall Islands filed formal applications in the ICJ instituting proceedings against all nine of the world’s nuclear-armed states. But only India, Pakistan, and the UK accept the compulsory jurisdiction of the court and appeared in The Hague to argue their side in the case. The other nuclear-armed states were invited to respond, but China declined and the others did not respond. The ICJ is expected to issue separate rulings on the jurisdiction and admissibility of each case later this year. If the court rules in favor of the Marshall Islands, the process will move to the merits phase. If the court rules against the plaintiffs, the case will be over.